News about release dates, updates and other information about The Providential Life & Heritage of Henry Obookiah, and about author Christopher L. Cook. I served as an interpretive guide on Dave and Cheryl Buehling’s first Hana Hou Christian Heritage Tour held on the Island of Hawai‘i Saturday, February 13 through Tuesday, February 16. The tour focused on the Hawai‘i side of the life of ‘Opukaha‘ia. A group of 24 visitors from the Mainland flew into Kailua-Kona to join the tour. Local participants also joined the tour. Stops spread across four days included the Kahikolu Church overlooking Kealakekua Bay, the Hikiau Heiau and the supposed site of ‘Opukaha‘ia’s altar located alongside the heiau, the ‘Opukaha‘ia chapel overlooking Punalu‘u Beach in Ka‘u (nearby Henry’s home village of Ninole), Volcano National Park where Mary Boyd told the story of Kapiolani defying the volcano goddess Pele, and a final day at the historic Haili Church in Hilo, a church which once counted a congregation of over 12,000 Native Hawaiians during Hawai‘i’s Great Awakening in the late 1830s and early 1840s. For more information go to the Ka‘u Calendar News Briefs. 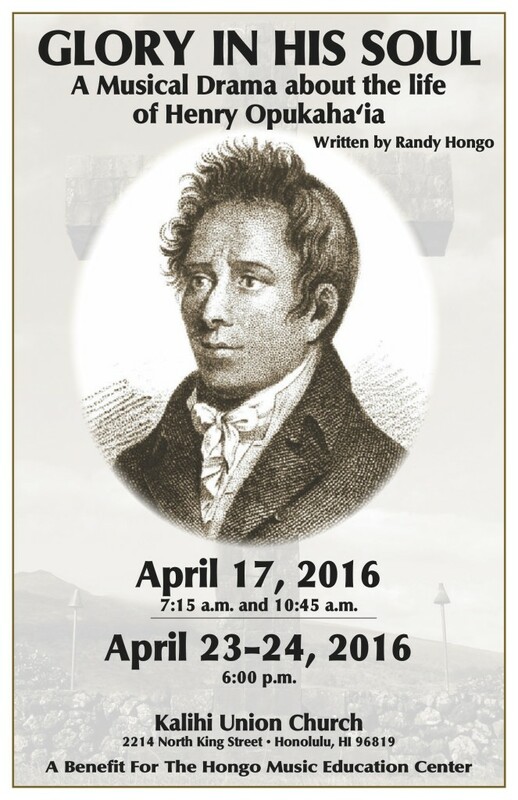 I am joining Dave Buehring’s Hana Hou Christian Heritage Tour on the Big Island from Saturday, February 13-16, 2016. I will be an interpretive guide for the visitors from the Mainland coming to Hawai‘i to visit key sites in the life of Opukaha‘ia. Opukaha‘ia’s descendant Deborah Lee, who led in the return of Henry’s remains in 1993, will also being serving as interpretive guide on the tour. Local residents are invited to join the tour. Go to www.hanahou.info for more information. Those accompanying the tour are asked to share in covering the costs for the joint meals being provided. 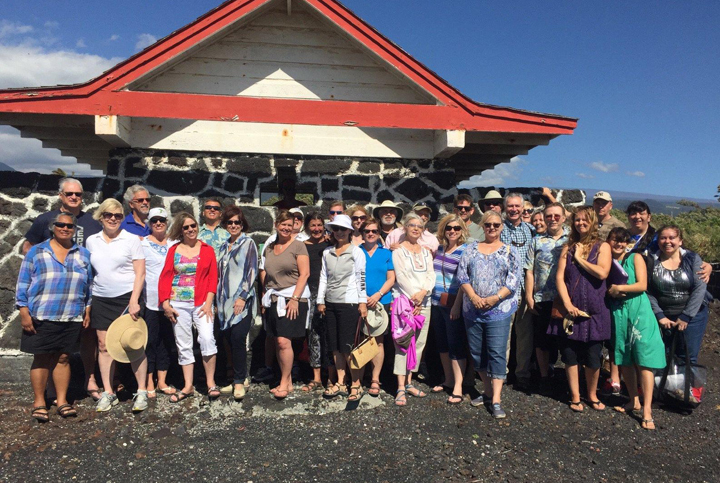 The tour schedule includes a visit to Hikiau Heiau on the shore of Kealakekua Bay and Henry’s grave site at the Kahikolu (Trinity) Church on Saturday, February 13. 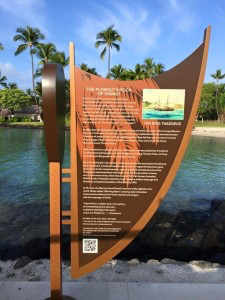 On Sunday, February 14 the tour moves to the Mokuaikaua Church, home of Hawai‘i’s oldest existing Protestant church, and a look at the Plymouth Rock of Hawai‘i sign at the Kona Pier. I helped write the text of the new sign, posted to mark the 195th anniversary of the Mokuaikaua Church. Will be interesting to see the historic signage in person. 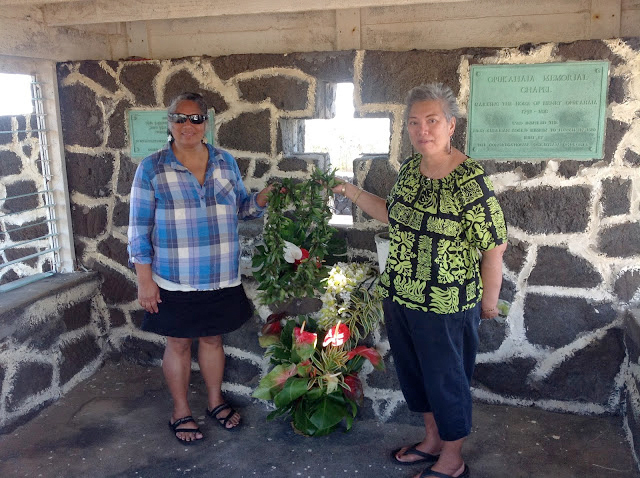 On Monday, February 15 we head to Punalu‘u Beach in Ka‘u to visit the chapel dedicated to Henry. His birthplace and childhood home were at Ninole, the land section on the south end of Punalu‘u Beach. Then the tour bus will travel north to Volcano National Park to revisit the site of early Native Hawaiian Christian and alibi Kapiolani’s defiance of the goddess Pele in the 1820s. Tuesday, February 16 the tour ends at Haili Church in downtown Hilo. Here I will join Deborah Lee at her family’s home church when we join a panel discussion on the impact of the American Protestant Mission in Hawai‘i. 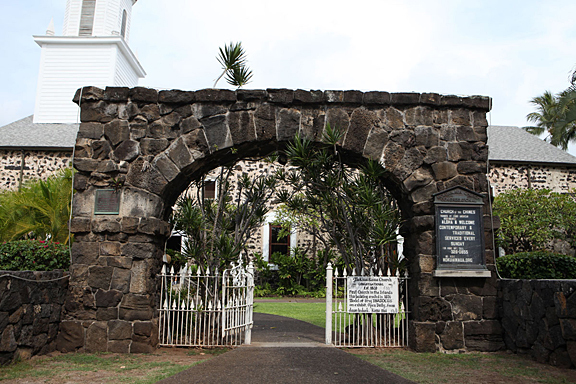 The roots of the Haili Church go back to Hawai‘i’s Great Awakening in the late 1830s. The Rev. Titus Coan from Connecticut led the Sandwich Islands Mission station in those days. Native Hawaiian became Christians by the hundreds and thousands in the late 1830s, and the Hilo congregation grew to about 12,000; the church was declared to have the largest congregation in the entire Protestant world.